When you hear petroleum, you probably think about the gas in your car, jet fuel for your trip and natural gas to heat your home. Contributing to much more than that, thousands of the products we use daily are made with petroleum-derived ingredients. Shampoo, aspirin, pantyhose, toothpaste, heart valves, shoes, BPA-free plastics – these are a sampling of the goods made with petroleum products. Buried pipelines, like those owned and operated by Phillips 66 Pipeline LLC, are the primary means of moving energy products from their origination point to consumer use. There are nearly 2.5 million miles of pipeline in the U.S. alone. Recognized by the National Transportation Safety Board as being the safest way to carry energy products, this massive, largely unseen energy transit network is proven and reliable. It is likely that a transmission pipeline traverses on your school property or very near your school. Energy products transported by pipeline are considered hazardous materials. Just like many of the energy products in our daily lives they are potentially dangerous if improperly managed, transported or released. There are many federal and state regulatory agencies to confirm products are handled in pipelines of integrity and by capable operators. The risk of a school being near a pipeline containing hazardous materials is tied to the potential of an unplanned release of product carried by the pipeline. Unintentional releases could cause school property damage, environmental and community damage, or injuries – even death. Fortunately, serious pipeline incidents are rare. However, it is best for school administrators and the surrounding school community to understand the hazards, which vary by product type, pipeline type and external-to-pipe characteristics, of living and working near a pipeline. Phillips 66 Pipeline LLC recommends that all school administrations and school districts understand the importance of planning for a pipeline incident. Ideally, all schools should account for pipeline incidents in their emergency response planning. For more information on pipeline response planning for schools, visit www.energyforeducation.com. 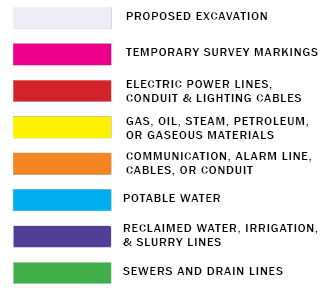 The following table is a simplified list of common pipeline products and their associated hazards. 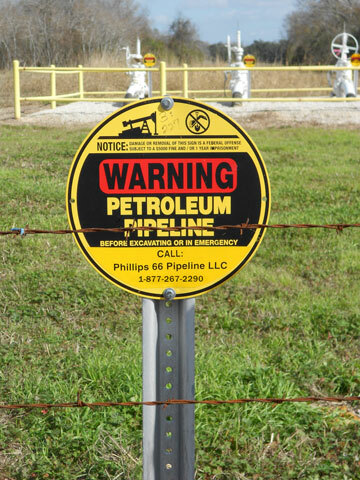 Schools can determine what is transported by the pipeline near them by visiting www.npms.phmsa.dot.gov or reviewing the information displayed on a nearby notification sign (called a pipeline marker). REFINED PRODUCTS Refined products vary widely in color. Vapors are heavier than air and tend to settle to the ground. Gasolines of various kinds are the most flammable. Kerosene and fuel oil are somewhat less likely to ignite, but should be considered dangerous. Breathing low concentrations of refined products leads to little health hazard. Contact can sometimes cause minor skin irritations; however, refrain from contact. CRUDE OIL Color can vary from yellow to nearly black. “Sour crude” contains hydrogen sulfide (H2S), and, under certain conditions can be recognized by its rotten egg odor. Vapors are heavier than air and tend to settle near the ground. Flash points of crude oil mixtures can vary. Will burn, producing heat and smoke. Can cause throat and eye irritation as well as breathing difficulty. Heavier concentrations will cause dizziness similar to intoxication and may lead to serious breathing difficulty, even death. HIGHLY VOLATILE LIQUIDS (HVLS) Colorless. It is transported as a liquid but becomes a gas and forms a vapor cloud when released into the atmosphere. Vapors vary in size depending on weather conditions. If the vapor drifts from the immediate vicinity of a leak, becomes much less visible and detected only by a monitor. Vapors are heavier than air and tend to settle to the ground, especially in low-lying areas. Vapors are highly flammable and ignite very easily. Fire hazard is higher on a calm day, since vapors remain more concentrated instead of dispersed in the air. Vapor displacement of oxygen can result in asphyxiation. Vapors can cause severe freeze burns when in contact with skin. Some HVLs contain hydrogen sulfide (H2S). Light concentrations of H2S will cause throat and eye irritation as well as breathing difficulty. Heavier concentrations of H2S will cause dizziness similar to intoxication and may lead to serious breathing difficulty, even death. NATURAL GAS A colorless gas. Vapors from liquefied gas are initially heavier than air and spread along the ground. Vapors may travel to source of ignition and flash back. Natural gas, alone, does not burn. Combustion only occurs when there is a mixture of gas and air, containing between five and 15 percent of natural gas. Harmful, even fatal, if inhaled or absorbed through the skin. Schools place the safety of their students and staff above all else. Because of this, schools are often required to have emergency action plans in place for any number of potential dangers. Common response plans include steps to take in a fire, during hazardous weather or even a campaign of violence. Unlike the more oft reported disasters listed above, pipeline emergencies are often forgotten in planning because of their rarity or because school administrators are unaware of the pipeline near their campus. Phillips 66 Pipeline LLC wants all schools and their communities to be aware of any pipelines located nearby and understand that pipeline emergencies have the potential to harm the environment, destroy property, disrupt classroom time and threaten life if not handled quickly and well. Pipeline safety information needs to be shared with individuals outside of your school’s administration. In case of a pipeline safety incident where the primary emergency officer is unable to command a response, others should know how to find and execute your emergency action plan. Phillips 66 Pipeline LLC values our relationships with schools. We sponsor several programs to educate students, faculty and parents about pipeline safety. We encourage school safety and the knowledge of pipelines. Through the Safe at Home program, fourth and fifth grade students learn about the science of pipelines. Safe at Home provides a classroom curriculum that meets stringent state science standards. Safe at School is a program that helps school administrators share pipeline information through the school system and prepare an emergency response plan. Phillips 66 Pipeline LLC is the founding sponsor of Energy for Education, a national cash grant program that provides eligible schools with grants commiserate with the amount of pipeline safety information they have shared with their school families. 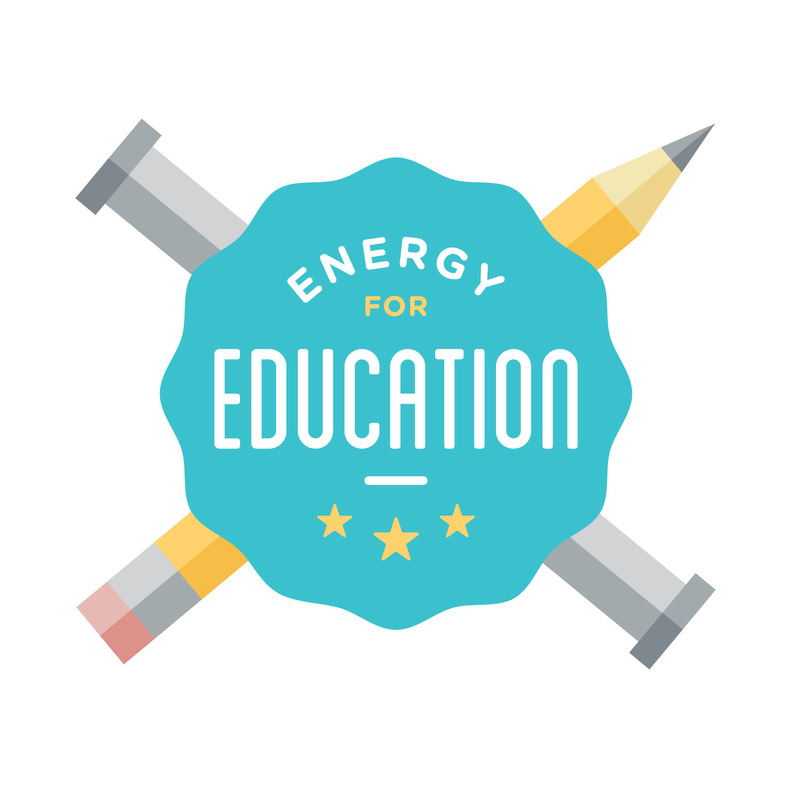 To determine if your school is eligible for this year's Energy for Education program, visit www.energyforeducation.com. Special Note: The clearing above and around a pipeline is referred to as a right-of-way. This right-of-way, or “ROW”, may appear to be a safe location because it is often an expanse of greenspace. However, it is not a safe choice to relocate students during any school evacuation. Design all of your safety action plans to direct students and personnel away from any right-of-ways near your school. Not doing so may compound other problems. The greatest risk to pipeline safety is the uneducated excavator – someone who simply doesn’t know the hazards associated with what might be below ground. Through the Phillips 66 Pipeline LLC damage prevention program the public is educated regarding the danger of pipeline dents, scrapes or gashes. Even the tiniest issue can be the beginning of a major problem later. Schools can minimize the hazards of risky digging projects by learning about safe digging practices. Anytime a school plans to dig 12 inches or deeper, for any reason, a local One-Call center should be alerted by dialing 8-1-1. This alert sends all underground utility operators in your area (not just pipelines, but cable, water, sewer, etc.) to mark their lines prior to breaking ground. It’s also important to note that a school should contact One-Call via 811 everytime a 12-inch or deeper dig is required. Don’t assume nothing has changed. Like most aspects of pipeline operation, PHMSA regulates the usefulness of both pipeline operator damage prevention programs as well as the state damage prevention law enforcement programs. Click the link to learn more about the damage prevention requirements of your state. Who needs to contact One-Call? Anyone planning to dig 12 inches or deeper – for any reason—even if they have called for a ticket in the same area before. 811 is the toll-free, national call before you dig phone number. By dialing 8-1-1, you are automatically connected to a local One-Call center. The One-Call center will ask for details regarding the planned digging project. 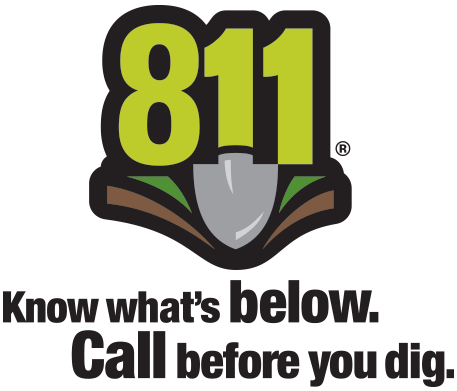 811 is the toll-free, national call before you dig phone number. Dependent upon your state’s One-Call law, you could be responsible for fines, repair costs, and additional property and life damages if you strike a pipeline. Some energy products, when unexpectedly released, that come in contact with an individual or ignite, can cause injuries or even death. By calling 811/One-Call, and adhering to markings, you are mitigating personal liability should an unplanned incident or accident occur. Serious pipeline problems are very rare; however, they can be hazardous to property, the environment and life. If your school is near a pipeline, it is imperative that your school emergency action plan contains information about identifying and responding to a pipeline problem. Use the following information as a guide and share with the parents and faculty at your school. Unusual pooling of liquids on or around school property or a continuous bubbling in standing water. Residents in your community may suspect that a rotten egg smell is the only indication of an issue, but many energy products transported by pipelines are odorless and cannot be detected through scent alone. Stay alert to unusual sights or sounds in the area of pipeline. Immediately leave the area, in an upwind direction, and warn others to stay away. If you suspect a problem inside a building (a natural gas issue perhaps), immediately leave the building without using electrical switches, cellphones or anything that could cause a spark. Never attempt to operate pipeline valves or other equipment. If during school hours or during a school event, evacuate students and staff from the area immediately as outlined in your school’s emergency action plan. Call 911. If able to do so safely, call the pipeline operator's emergency number. You can find an operator's emergency number on any pipeline marker. Do not allow vehicles to be driven in an area where you suspect a leak. Re-route parent vehicles or buses as needed. Improper or unauthorized digging near a pipeline is the most common cause of serious pipeline problems. Avoid accidentally damaging a line on your property, incurring a fine or harming yourself or others by knowing where pipelines are located. One-Call is a free national service that alerts underground utility operators, like Phillips 66 Pipeline LLC, to mark the location of their lines before a digging project begins. Always contact your local One-Call office three working days before a digging project on your school property begins. To do so, simply dial 8-1-1. In most states this is not merely suggested, it’s the law. Dialing 811 for One-Call will always give your school the most accurate underground utility location information and is the only and best way to proceed before a digging project; however, there are other methods to find the general location of a line. Pipeline markers are signs placed by operators at regular intervals along the general route of a pipeline. These signs are commonly found near road and railway crossings, at aboveground facilities along the pipeline system, and within a right-of-way. A right-of-way is the dedicated clearing of land that provides a safety buffer above and around a pipeline. Most often a right-of-way appears as a wide strip of manicured grass. Visit our Phillips 66 Pipeline LLC Map Viewer to find all Phillips 66 Pipeline LLC-operated pipelines closest to you. The National Pipeline Mapping System contains information about the facilities, hazardous liquids lines and gas transmission lines near you. This free online application is managed by the U.S. Department of Transportation and shares information for all PHMSA-regulated operators in the United States. Online mapping tools are for reference purposes only; they are not a replacement method for calling 811 before a digging project. A right-of-way (sometimes referred to as a ROW) is the dedicated clearing of land that provides a safety buffer above and around a pipeline. Most often a right-of-way appears as a wide strip of manicured grass. A cleared right-of-way, free of vegetation and structures, ensures easy aerial and on-foot monitoring, quick accessibility and faster maintenance. Rights-of-way can be used for open fields and play, but should never be utilized during a school emergency evacuation of any kind. A right-of-way additionally provides accessibility to Phillips 66 Pipeline LLC employees and contractors for routine maintenance, aerial patrols, foot patrols, and during an emergency. Anytime a Phillips 66 Pipeline LLC employee or contractor will need access to a right-of-way traversing your school property, you will be notified and standard school visitor procedures will be followed. Encroachments are obstructions that can limit or impair a pipeline operator’s ability to effectively maintain pipelines in a safe operating environment. Examples of common school encroachments include: temporary buildings, sheds, swingsets, fences, field equipment, blacktop or cement, and trees. Phillips 66 Pipeline LLC, like all operators, has guidelines from the U.S. Department of Transportation Pipeline & Hazardous Materials Safety Administration for the implementation of an encroachment program that meets federal pipeline safety standards. Our program includes the provision of greenbelts along a right-of-way, building setback specifications, encroachment education for neighbors and adequate cover over our pipelines. Our pipelines are covered by written easement agreements that provide for reasonable legal protection against unacceptable encroachments and are filed as public records in the counties and parishes where we operate. We require advance review and approval of construction plans that impact our established pipeline rights-of-way so that encroachment issues can be mitigated. Use the following guidelines to safely protect against encroachment around Phillips 66 Pipeline LLC pipelines. Each year, Phillips 66 Pipeline LLC clears hundreds of miles of pipeline right-of-way as part of our safety effort. A “cleared right-of-way” means trees and brush will be eliminated. Trees and tree canopies prevent us from effectively monitoring pipelines for issues and tree roots can cause damage to the protective pipeline coatings. In most cases where a right-of-way contains only a single pipeline, Phillips 66 Pipeline LLC will clear a strip extending 15 feet on either side of the pipeline or the width of the easement, whichever is the lesser expanse. In areas where more than one line is buried, the clearing extends 15 feet from the outermost pipeline(s) or the width of the easement, whichever is the lesser expanse. Please use our non-emergency number, 1-800-231-2566, for more information about our encroachment guidelines or to discuss a project with one of our right-of-way representatives. Phillips 66 Pipeline LLC regularly conducts maintenance on its pipeline system. This may include walking right-of-way inspections, parts maintenance for valves, or preventative digs. Anytime a Phillips 66 Pipeline LLC employee or contractor will need access to a right-of-way traversing your school property, you will be notified and standard school visitor procedures will be followed. Any work that would inconvenience school traffic patterns or school field usage, in any way, will be kept at a minimum and completed as quickly as practicable. When long-term maintenance work is conducted, school administrators will be given the name and number of a Phillips 66 Pipeline LLC local representative and/or the name of a right-of-way specialist to voice concerns.